Former prime minister Kim Campbell says she was pleased to see Prime Minister Justin Trudeau create a gender-equal cabinet, but that more needs to be done to make sure Canada’s government and legal system reflect the country’s diversity. “When you put a lot of women in the window, as the prime minister has done with this cabinet, it changes peoples’ sense of who gets to do those jobs and how the world works,” Campbell told CTV’s Power Play. “If people don’t see a woman there, they may think that women don’t belong there,” she added. Campbell, a lawyer-turned-Progressive Conservative MP, became Canada’s first and only female prime minister after Brian Mulroney resigned in 1993. Campbell said the diversity of Parliament has come a long way. For example, she pointed out that Liberal Lester B. Pearson told a female MP in the early 1960s that she didn’t belong in cabinet because they already had a woman. She also said it was a big deal for her to be named the first female minister of justice in 1990, and that now having a minister of justice who is both a woman and aboriginal shows how much has changed. But she also said there is plenty of work left to do, pointing out it would take generations to reach gender parity in the House of Commons if the current pace of change continues. In the 2015 election, only 26 per cent of MPs elected were women -- a mere one per cent increase from 2011 when 25 per cent of the House of Commons was female. Part of the problem, she said, is convincing women to run for office, which may have to do with a perception that the lifestyle of Parliament is unfriendly to mothers. But, she added, some policies that women’s groups advocate for benefit men too. For example, she recalls men would glorify the days when they would drink and smoke cigars while waiting for late-night votes, but were as pleased as women when night sessions were scrapped. Campbell said she was also pleased to see Trudeau state that he is a feminist. Campbell is one of four honourary co-chairs of a new initiative from The Pearson Centre think tank called the Pursuing Justice Project, which aims advance justice, diversity and inclusion. The other three co-chairs are former prime ministers John Turner, Paul Martin and Jean Chretien -- who faced a backlash from members of his own party in 2002 after appointing a cabinet that was only 23 per cent women. 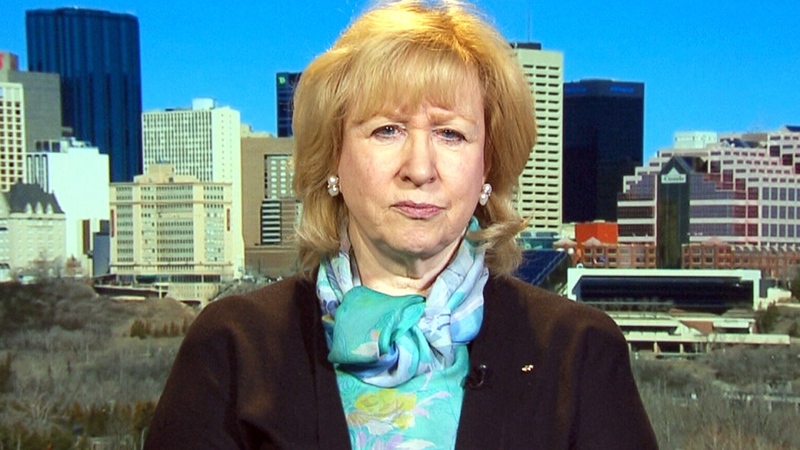 Former prime minister Kim Campbell speaks to CTV's Power Play about a diversity initiative from The Pearson Centre.